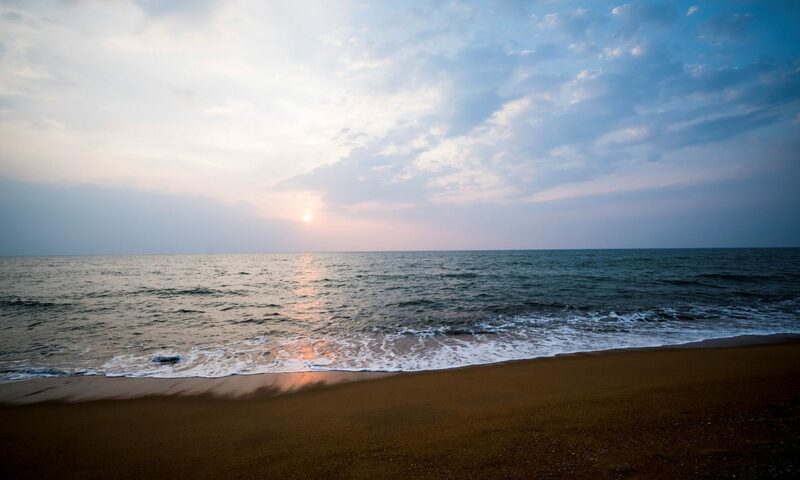 Kalutara is an exceptionally attractive locale with an exceptional range of places to visit and experiences to collect. If you’re interested in temples, there’s a bounty to choose from. This temple is situated close to Bandaragama town and is one of the most historically significant temples to be found in the area. It was even present at the time of the ancient Polonnaruwa Kingdom, which thrived during the 11th century. 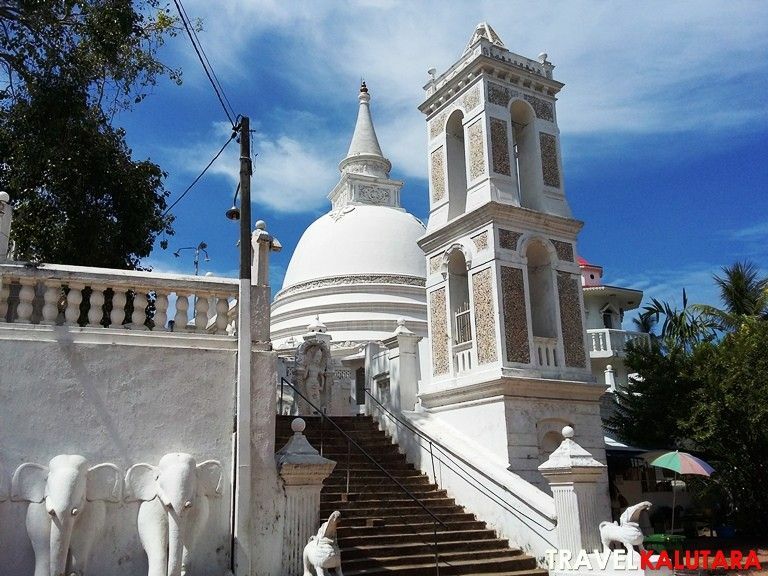 This simple yet fascinating temple is situated on top of a hill and the immediate area can be easily accessed from the Bandaragama-Horana Highway. Interestingly, the temple consists of several complexes that are scattered around the hill, requiring you to embark on a bit of a hike to explore the complete expanse of the temple. The temple pagoda, which is situated at the very top, is definitely a worthwhile journey because you will get to experience some spectacular views of the surrounding countryside as well. The name of this temple roughly translates into ‘Gold Pinnacled Stupa’, this is because in Sinhalese, ran, pronounced ‘run’, means gold and Koth refers to the top of the stupa. The stupa of this temple was built according to the designs of the traditional stupas that were ancient even during that time. This includes the Anuradhapura Maha Viharaya which was built sometime in 200BC. This is the most significant Buddhist site in the Panadura area and is definitely a place worth exploring. The temple is easily visible from a distance since it has been built on a protruding landmass. It is unclear exactly when this temple was built, but it was initially known as ‘Galkanda Viharaya’. It was later renamed ‘Rankoth Viharaya’ in 1890, to become synonymous with the pagoda after it was built during this time. The sacred Bo tree within the temple is highly revered and is believed to be older than the temple itself. There are many murals within the temple where one can learn about the Jataka tales, which showcase the many incarnations of Lord Buddha. This is one of the more recent temples in Kalutara, Sri Lanka but is nevertheless still one of the essential places to visit in Kalutara district. 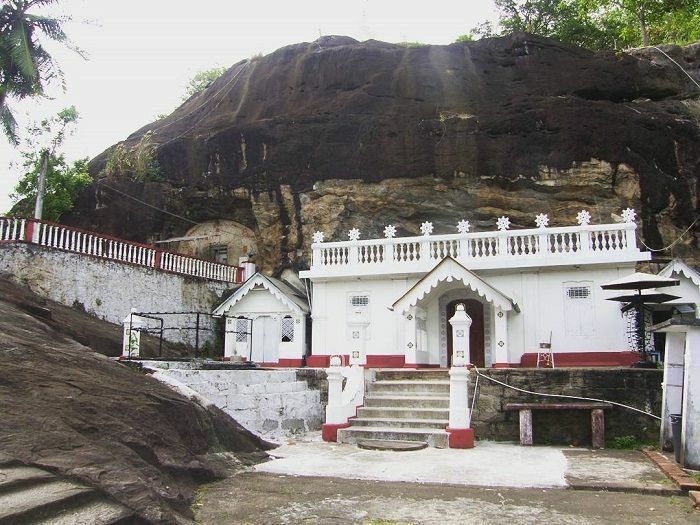 The temple was built during the 1800s to provide a sanctuary for disciples of a renowned monk, Aluthgama Sangharatne. This particular monk found refuge along the Kalu Ganga River within a humble hermitage and eventually gathered some devoted disciples. 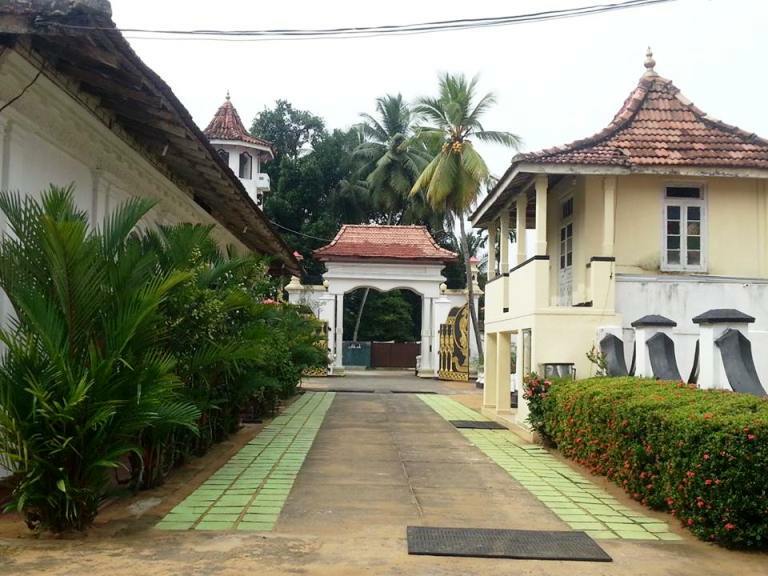 The monk’s sermons eventually garnered the attention of a wealthy businessman, Elliyas Fernando, who supported the monk by funding the construction of a hall and eventually expanding upon it to form the temple complex as it exists today. The Bo-Tree and the temple’s bell-tower are two of her iconic hallmarks and if you ever find yourself within this sacred and famous place of worship, be sure to wander around and experience everything the place has to offer. The name of this spiritual sanctuary translates to ‘Mountain Temple’ since it was built on top of a hill. This temple is officially recognised by Sri Lanka’s government as a national archaeological site. This temple was built sometime in the early to mid-1700s and has many intriguing attributes to witness. The inner walls of the relic chamber are elaborately adorned with many frescoes of the vintage Kandyan style. The ceilings of various chambers have further been decorated with images showcasing depictions of events mentioned in the Jataka tales, which are stories about the many incarnations of Lord Buddha. 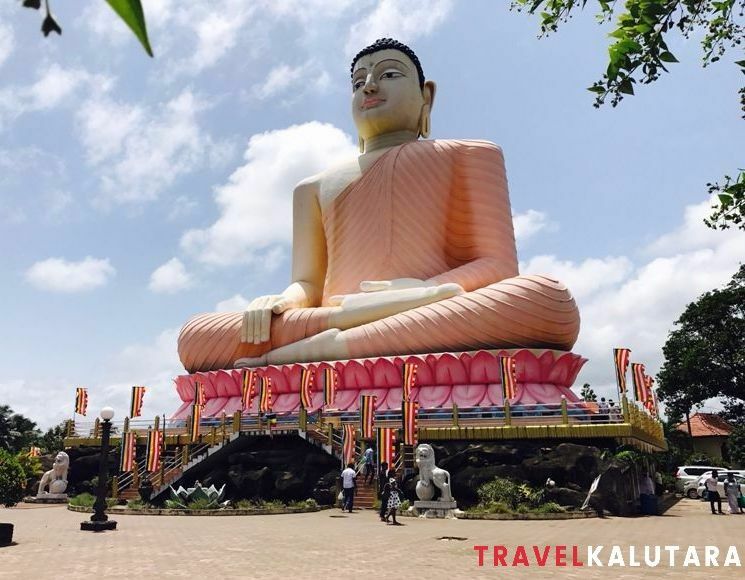 Although you might not necessarily discover this temple on popular blogs, it is still one of the essential temples to explore within the Kalutara district. Despite the obscure nature of this temple, it features what is widely believed to be the oldest rock inscription in Sri Lanka, and was carved sometime during the first century AD or the first century BC. Due to time-related deterioration, only part of the inscription is distinguishable, which means that no one will never know that the inscription said. All that has been deciphered alludes to two specific ‘Bhanakas’, which is a word used to refer to a specific religious scholar or devotee who would’ve memorised the entire sacred text of the Buddhist Dhamma.